What does Edmonton look like with 2 million people? Even as the city of Edmonton reaches a milestone of 1 million people, we need to keep looking forward. We need to plan for the future and we need to decide what sort of city we want to create for a potential population of 2 million people. 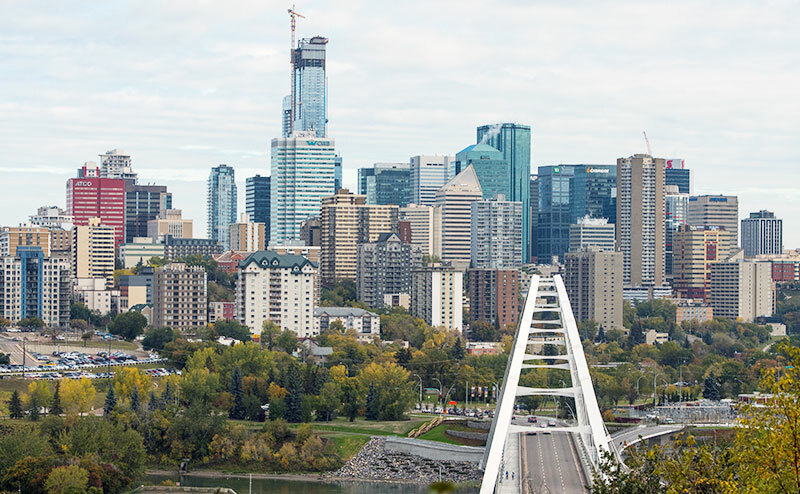 Join us in developing our future Edmonton by contributing to The City Plan. What is The City Plan? The City Plan charts out how we will get to a future city, a city that has the benefits we enjoy today with new opportunities for the future. The City Plan is about our spaces and places and how we move around the city. It is about our community and what we need to do together to grow, adapt and succeed. What kind of city will Edmonton be in the future? What about a future city could make you feel more connected to your friends and family? What is Edmonton’s city story? The City Plan will replace The Ways documents, including the Municipal Development Plan and Transportation Master Plan. We invite all Edmontonians to share their voice and help to create the policy direction of The City Plan. At these workshops, we will work together to create draft policy to support the Big City Moves. The City Plan is Edmonton’s plan, and we want you to help write it! The City of Edmonton is committed to creating opportunities for the public to contribute to the creation of The City Plan. We’ll show you how we’ll collect and use your input to help City Administration and Council make their decisions in the future. There will be many opportunities to engage with The City Plan throughout the 5 project phases. Currently, we are in Phase 2. Commitment: We will keep the public informed on what The City Plan is and upcoming opportunities for engagement. Commitment: We will adjust desired city building outcomes to reflect public input, to the maximum extent possible. Commitment: We will work with public to create various scenarios, measures, and trade-offs. Commitment: We will work with the public to create action plans for preferred scenarios, adjusting policy decisions to the maximum extent possible. Commitment: We will inform the public on how their input was used in decision making throughout The City Plan, and provide updates in regard to the approval process. It’s been almost ten years since Council approved Edmonton’s Municipal Development Plan (MDP), The Way We Grow (2010) and Transportation Master Plan (TMP), The Way We Move (2009). A lot has changed since then, including the advancement of LRT planning and construction, major developments in the urban core, catalyst projects like Blatchford, and new strategies guiding Edmonton’s transit, open space, and infill development. It’s time for a refresh of those plans, especially as we move towards a city of 2 million people. We need to talk about the many challenges and opportunities that come with a changing and dynamic Metropolitan Region. The City Plan will combine the MDP and TMP into a single, unified plan about the spaces and places in our city. The City Plan will show how we build and grow in a more compact and efficient urban form. All municipalities are required, by the Municipal Government Act, to produce a Municipal Development Plan and Transportation Plan that is approved by City Council. The City Plan will establish new and renewed objectives and policies to address the future growth of the city. Using Council's goals, it will show, through networks, systems and nodes how the city will be built and will grow. We need to align with the Edmonton Metropolitan Region Growth Plan by October 2020. The City Plan will align with Vision 2050 and leverage the work completed to date on that project. Edmonton’s The City Plan is part of a larger story. It will be guided by the four goals of Council’s Vision 2050: Healthy City, Urban Places, Climate Resilience and Economic Prosperity. It will also guide the upcoming rewrite of the Zoning Bylaw. The City Plan will detail how we build, grow and move around our city, while Edmonton’s Zoning Bylaw will set out the rules for how buildings are built - the location and shape of the houses and buildings, as well as the amount of parking and landscaping provided. Check out summaries of some of the recent policies and documents being developed. Review the five big City moves that will create a different set of opportunities for Edmonton. Learn about some of the realities of living and working in Edmonton. Discover the six guiding values that articulate how Edmontonians want to experience their future city. View videos and articles that are helping guide The City Plan. Take a peek at maps that show how the City works today. We want to hear from you. Share your ideas about the future of Edmonton. Find out about the technical work and policy development being done for The City Plan. Get the latest news in The City Plan Newsletter. The Way We Grow, Edmonton's Municipal Development Plan (MDP), is the City’s strategic growth and development plan. It directs and shapes Edmonton’s urban form over a 10-year period.